AL Hutchinson has opened up fresh debate on how to deal with the past. It comes with the usual suspicion as to why and who it may please. But all things considered the idea of an amnesty deserves a settled and mature response. Many victims who have hopes raised by new information from HET want justice and sincerely believe that they will feel better when someone is jailed for years. I’m not convinced that this will be the case nor am I convinced that there is the political will to sentence and imprison. The need for a home-produced solution is urgent and needs to be found if our fragile relationships are not to disintegrate further; it needs to be found if we are to prevent dissident republican groups from stealing away what they see as the unwanted ground of cooperation. We in the community sector need to have the courage of our deep conviction, pursue a solution and run the risk of being misunderstood, rejected or isolated. In some circles the guilt of the past is great but it can never be as great as grace. We need to do more than sing about Amazing Grace – we need to practice it and offer it freely across our religious political barrier and historic pain. Meanwhile, the suffering penetrates mind and heart, robs victims of sleep and rest while others who actually carried out the deed cannot find forgiveness because the framework is not in place to allow them to actually talk. At the end of the day we do need to use words and there is also a need for politicians to give the signal that it is okay to talk and find peace. There is also a need for three tiers of society to join together to help find a solution. We need a legal framework from lawyers; political leaders need to give permission to people to participate and church leaders need to give creative leadership – perhaps a series of special Sundays over a year where victims could have special prayers for strength and comfort. Mercy is something not discussed even in our Christianised culture of Northern Ireland. Although we do teach the story of the Good Samaritan to children we fail to release the impact of mercy on our own victim world. It is meant to be a way of life not just for the story book. Mercy has the upper hand on justice and it is a big thing to ask. But it may be the only way to lay to rest the past, which in doing so would give us a legacy of peace for the future. As regards to south Armagh being a no-go place for Protestants, that is only the case if we don’t invest time in relationships with our Catholic neighbours. Community consultants from all sides have pooled resources to help Crossfire Trust to where we are today. Many republicans are proud that we have been recognised and given the Queen’s Award for Volunteering, as we have reached out to serve all sides. They have a high regard for honour and recognising the suffering of the past. Given the right thought and consideration, accommodation can be found to honour all victims. Some of the best community workers on both sides have done things in the past which they would now shrink away from. It will be a day of kindness when victims chose to forgive, let go, embrace mercy and grow in understanding as to why good people did bad things. We need to love. To love is to sit and listen, feel and understand and travel in a pilgrimage of community to a better place of function and cooperation. An “open and all inclusive” service to remember those killed or injured during the Troubles will take place in Belfast at the weekend. According to organisers, the service, held at St Anne’s Cathedral on Sunday (3.30pm), is intended to represent both sides of the community who have been caught up in the violence — including those killed by both paramilitaries and the security forces. Organiser Alan McBride of the WAVE Trauma Centre said he had personally invited both The First Minister Peter Robinson and Deputy First Minister Martin McGuinness — along with MLAs and TDs from the Republic and religious representatives. Mr McBride’s wife Sharon and his father-in-law were killed in the Shankill bomb in 1993. A SOUTH Armagh peacemaker has revealed he knows several former IRA members who are in “torment” over things they have done during ‘The Troubles’ and would like to find forgiveness for their past actions. Ian Bothwell of Crossfire Trust in Darkley was speaking to the News Letter in the wake of high tensions in south Armagh over a walk for victims of the 1976 Kingsmills Massacre, in which 10 Protestant textile workers were murdered by the IRA. The walk, planned for last Saturday, was to be through the strongly nationalist village of Whitecross. However, it was vigorously opposed by the SDLP and Sinn Fein and in the end the families postponed it until they felt they would be welcome. But peacemaker Ian Bothwell, who together with his wife Pauline have been active in community relations work in south Armagh for some 30 years, has taken the opportunity to propose a new way forward between paramilitaries and victims in the area. He says he knows several former IRA members who would like closure on the deeds they have committed in the past. “We are talking about a number of republicans who have engaged in front-line activity,” he told the News Letter. “They would like closure. They would like to deal with the torment in their minds and I think they would like to have a framework which would allow them to feel safe in doing so. “This really needs to be openly and purposely supported by churches and political leaders across the board. I think some people really feel bad and do regret the past. “They are maybe sorry for the pain they have caused, yet not sorry for having felt they had to do it. “They are on a journey and if they were to see the appropriate response coming from across the other side of the community at the same time, then I think we could be amazed at how far we could get at forgiving and letting go. “People have expressed these feelings to me,” he said. But is there an inner conflict in the minds of people who are tormented by their past deeds and yet may still feel there was justification for their actions? “That is the hub of the issue,” Ian says. “There are days when they will see it one way and days they will see it another. That is a reflection of the journey they are on. That is the dilemma for those of us trying to get a handle on the past. “I don’t think one template will suit everyone. I can see the day coming when neighbour will talk to neighbour spontaneously. How might an encounter proceed where a victim would ask why their loved one was murdered and an IRA member might reply that ‘it was war’? “Questions like this need to be unpacked,” he says. “There could be facilitation, but only coming from growing relationships and trust between people who have been victims and people who have been involved in creating the pain. He is also concerned about stopping the cycle whereby “propaganda” is influencing a new generation. “We need to stop propaganda to those in their teens and twenties who think that the only way to be a hero is to get their names in the history books,” he said. But why have some republicans begun to feel such remorse – and why now? “Some south Armagh republicans have been expressing such views to me since Martin McGuinness and Ian Paisley started having a warm and open public working relationship,” he says. “The continuation of this relationship between Martin and Peter [Robinson] has deepened the impact,” he says. “The question then arose – what was it all for? Taken together with the Queen’s visit to the Republic, when President McAleese took that risk and walked out together in peace … these people have ended up being surprised at their own deep emotional reaction to these developments. He would be glad to talk to anyone who is interested in discussing the issues. “There is the possibility we may not deliver, but it worth trying,” he added. • The News Letter is inviting south Armagh reaction to Ian Bothwell’s thoughts in a series of pieces this week. EVIDENCE RELATING to the alleged attitude of more than one former taoiseach towards Garda co-operation with an RUC investigation into the killings of 18 British soldiers, was delayed after objections at the Smithwick Tribunal yesterday. The soldiers died in a double bombing at Narrow Water, about 3km from Warrenpoint, Co Down, in August 1979. The tribunal heard the bombs were detonated from a hillside across the water in the Republic. Giving evidence at the tribunal yesterday a former RUC deputy assistant chief constable said Garda co-operation in the investigation into the soldiers’ deaths was “non-existent”. The former RUC officer who was identified only as Witness 68 and who gave his evidence by video link from Belfast, said even a request for co-operation by the then chief constable to the Garda Commissioner, had not been fruitful. Witness 68 said a meeting had been arranged with gardaí in Dublin Castle in which a senior garda had quoted the words of more than one taoiseach in relation to co-operation with the RUC. However, counsel for the Garda, Michael Durack SC, said the Garda legal team had been given short notice of this evidence, and he asked that it not be heard at that time. Counsel for the tribunal Mary Laverty SC said “public bodies” would have to be notified before the evidence could be heard. Following a discussion, tribunal chairman Judge Peter Smithwick said he would be keen to hear the “untrammelled” evidence of the RUC officer and proposed to take this aspect at a later date. Earlier Witness 68 had said gardaí had gathered vital forensic evidence and arrested two suspects on the day of the bombing, who he identified as Brendan Burns and Joe Brennan of south Armagh. Witness 68 said the RUC received an assurance from then Det Sgt Owen Corrigan of the Garda that the scene on the Irish side of the Border would be preserved overnight and that the RUC investigating officers would be granted access to it. However, when the RUC officers came back, the entire site and surrounding countryside had been cut back with ferns, briars and potential evidence already removed. Brennan and Burns were later released by gardaí who said there was no evidence to hold them for anything other than motoring offences. Witness 68 said Brendan Burns was killed in 1988 when a bomb he was transporting exploded prematurely. He said Joe Brennan was arrested in Northern Ireland in 1995 and later convicted on bomb-making charges relating to other incidents. Fianna Fail leader Micheal Martin has called for an investigation over the use of 50,600 euros worth of ink printer cartridges by a Sinn Fein TD. Aengus O Snodaigh used 434 cartridges over a two-year period. The figure emerged in a report in the Irish Daily Mail, based on information released under the Freedom of Information Act. The cartridges were valued at €130 each and 215 were taken in 2007 and another 219 in 2008. The use of such cartridges was not restricted in those years, but is now. Last year, Mr O Snodaigh used 18. That figure was topped by five other TDS – two from Labour, two from Fianna Fail and one from Fine Gael. 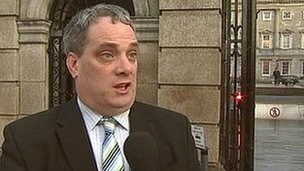 Labour’s Joe Costello used the most – 25 cartridges at a cost of 3,484 euros. Mr Martin said the 50,000 euros bill run up by Mr O Snodaigh in 2007 and 2008 was “an extraordinary amount”, and said it should be investigated, possibly by the Oireachtas Commission. Sinn Fein’s Mary Lou McDonald conceded that the ink bill was “excessive”, but said her party colleague had not broken any rules and said the system was at fault. Ms McDonald said Mr O Snodaigh did not realise the cost and would not have run up such a bill had he been advised by the Oireachtas authorities. The American Civil Liberties Union of Massachusetts has decided to support two journalists who are fighting release of interviews they conducted for the Belfast Project at Boston College, an oral history of the tumultuous times in Northern Ireland known as The Troubles. The ACLU filed legal arguments yesterday with the US Court of Appeals for the First Circuit opposing release of the interviews, saying the journalists had a right to argue on their behalf and that the release of the information would jeopardize their integrity. The ACLU also argued that the journalists and their subjects would be labeled informers and subjected to violence by a paramilitary group in Northern Ireland, pointing out the Irish Republican Army’s rules forbidding disclosure of information. “The forced turnover of interview materials will convert the interviewees and their interviewers into informants,’’ the ACLU said in legal arguments. In December, a US District Court judge ordered BC to turn over the documents to the federal government, which had subpoenaed them on behalf of British authorities investigating crimes during the sectarian fight for control of Northern Ireland. England and the United States have a treaty that requires each of them to furnish materials that would aid in criminal inquiries. British officials are looking into the killing of Jean McConville, a Belfast mother of 10 who disappeared in 1972 and whose body was recovered in 2003. The IRA has admitted to killing her because she was falsely suspected of being an informer. The Belfast Project journalists guaranteed their sources anonymity until death. But British officials were specifically interested in the interviews with former IRA member Dolours Price. Price and Brendan Hughes, another former IRA member, have said in other interviews that the abduction, execution, and burial of McConville was ordered by Gerry Adams, the leader of Sinn Fein, which had served as the IRA’s political arm. US District Court Judge William G. Young agreed to order BC to turn over materials related to the Price interview. He later ordered that other interviews be released as well. BC said that it would not appeal the ruling related to the Price interview, but that it opposed release of the remaining interviews. The US Court of Appeals for the First Circuit has agreed to review the decision, specifically Young’s refusal to let the two journalists, Anthony McIntyre and Ed Molony, argue against the release of the information. Moloney has said that he moved forward with his own legal action because BC had not addressed the effects that release of the information could have on the political scene in Ireland and the safety of McIntyre, who lives in Ireland. A former senior RUC officer has told the Smithwick Tribunal that he trusted the retired Dundalk-based Garda sergeant Owen Corrigan “with his life”. The tribunal is investigating alleged Garda/IRA collusion in the murders of RUC officers Ch Supt Harry Breen and Supt Bob Buchanan in 1989. Gerry McCann was a former detective inspector in Newry for 10 years. He told the tribunal that he had nothing but admiration for Mr Corrigan and members of the Garda in Dundalk. Mr Corrigan is one of three former gardai under the spotlight at the Dublin tribunal. Chief Supt Breen and Supt Buchanan died in an IRA ambush in south Armagh only minutes after leaving Dundalk Garda Station. Mr Corrigan denies all allegations of collusion against him. Mr McCann said he often discussed his travel routes south of the border with Mr Corrigan and took his advice. Mr McCann, who had a role in the Narrow Water investigation, said he was “surprised” to hear evidence on Tuesday of a lack of Garda co-operation in the bomb attack. The tribunal has previously heard that Harry Breen had expressed concerns to Sgt Alan Mains about travelling to Dundalk because there was an IRA mole among the gardai. A former loyalist turned assisting offender is entitled to his police interview tapes, the High Court has heard. Some of the material has already been disclosed to defendants in the UVF supergrass trial. Lawyers for Gary Haggarty disputed that information compiled in a debriefing process was too sensitive to disclose. They argued that he has more reason to protect it than the men acquitted of killing UDA leader Tommy English. In that case, 12 out of 13 defendants were cleared of all terrorist-related charges following a 71-day trial in Belfast, including the alleged former north Belfast UVF leader and police agent Mark Haddock. Mr Haggarty, 39, from north Belfast, is currently on remand charged with the murder of taxi driver William Harbinson in May 1997. The 39-year-old victim was handcuffed and beaten to death on the Mount Vernon estate. Mr Haggarty is also accused of eight other offences, including membership of a proscribed organisation and directing a terrorist organisation. Charges were brought against him following a new investigation by detectives from the Historical Enquiries Team (HET). But in January 2010, he signed an agreement to become an assisting offender under the terms of the Serious Organised Crime and Police Act (SOCPA). As part of that pact he has undergone a debriefing process involving regular phased interviews at a secret location in Britain. Mr Haggarty brought judicial review proceedings over the non-disclosure of the recordings, claiming his trial and any proceedings at which he appears as a prosecution witness could be delayed. Some 30,000 pages of material and 760 interview tapes have been amassed from the interviews. His barrister, Karen Quinlivan QC, claimed today that it was irrational of police to deny him the recordings. She rejected any suggestion of a breach of confidence in providing information which her client first supplied to police. Three judges hearing the challenge were told there was no explanation for denying Haggarty and his lawyer some of the material already made available at the UVF supergrass trial. “It’s been given to ten-plus defendants in the Haddock case,” Ms Quinlivan said. It was contended that the tapes can no longer be withheld due to the sensitivity of what they contain. “That argument is taken away in that category of material because of the extent to which it has already been disseminated,” Ms Quinlivan added. Lord Chief Justice Sir Declan Morgan, Lord Justice Higgins and Mr Justice Treacy reserved their decision in the case. Unionists and republicans were at odds yesterday over how Northern Ireland’s troubled past should be resolved. Speaking after talks with Secretary of State Owen Paterson on the matter yesterday, First Minister Peter Robinson said a story-telling archive focused on victims could be established at the former Maze/Long Kesh prison. Victims have a right to tell their story and in many cases have been denied the opportunity, the DUP leader added. Mr Robinson accepted that there was not a consensus on what happened in the past. On Sunday he said the re-writing of history by terrorists to portray the security forces as villains will not be allowed to happen. “What would be the purpose of having a Truth Commission when we know without a doubt that the terrorists will not be coming forward to tell the truth? All you would get, once again, would be the police and army in the dock and history being distorted,” he said. The TUV welcomed “the fact that the Secretary of State is opposed to a ‘truth commission’”. However, while it seems there will be no formal amnesty, many victims resent what they see as a de facto amnesty for republicans, he added. Sinn Fein MLA Mitchel McLaughlin wants to see the British Government play a key part in a truth process. DUP MP Jeffrey Donaldson told Mr McLaughlin yesterday that any truth process would also have to involve allegations of collusion between the Irish state and the IRA. Ironically, for a case sparking huge interest on both sides of the Atlantic, there are times when following the Boston College IRA tapes court saga is akin to watching paint dry. Last week, Boston College appealed against a judge’s ruling that it surrender to US prosecutors (acting on Britain’s behalf) interviews conducted a decade ago with seven former IRA members – interviews deemed, to varying degrees, of relevance to the IRA’s 1972 murder of Jean McConville. In December, Judge William Young had ordered the college to hand over interviews conducted with convicted Old Bailey bomber Dolours Price, in which she allegedly implicates Gerry Adams in Mrs McConville’s murder. That ruling was appealed by two lead researchers of Boston’s oral history project on the Troubles, journalist Ed Moloney and former IRA member Anthony McIntyre, who argue the peace process will be imperiled if the PSNI ultimately obtains the material and initiates prosecutions. However, it may be that the fate of the interviews may be decided via quiet diplomatic back-channels rather than a courtroom. Judge Young said in December there were few grounds for flexibility regarding America’s obligations under the 1994 US-UK Mutual Legal Assistance Treaty. The only one with potential relevance in the Price case is if the US was to deem any of its “essential interests” at risk. Moloney and McIntyre argue, given Washington’s long-term involvement in it, the Irish peace process qualifies. Cohen added that Secretary of State Hillary Clinton could also make a statement that, while stopping short of declaring that America’s essential interests are at stake, “would allow a court to conclude that and thus take the weight off the executive branch”. The State Department’s role has always been a wild card. Several Washington sources, told the Belfast Telegraph that ‘State’ – and even Clinton herself – must have signed off on the Justice Department’s decision to pursue the British subpoena. The question now is whether or not opposition to the subpoena by Irish-American groups and some senior members of Congress will be enough to persuade State to weigh in on behalf of Boston College, Moloney and McIntyre. As an example, he cited the case of three IRA prisoners who escaped from the Maze prison in September 1983 and were later arrested in the San Francisco area. Years of British attempts to secure their extradition from the US followed. But after the signing of the Good Friday Agreement, Britain scrapped the effort. “And the reason they withdrew it was that the Clinton administration let it be known that they really didn’t like it,” said the insider. Whether or not history repeats itself may well determine the victor in the Boston College saga. The Smithwick Tribunal has heard scathing evidence of the lack of co-operation by Irish police in the Narrow Water bomb attack. Witness 68, who was the chief investigating officer of the Narrow Water bomb attack gave his evidence to the Dublin tribunal via video link from Belfast. The British Army suffered its greatest single casualty toll in the Troubles at Narrow Water in south Down in an IRA attack in 1979. The Narrow Water bombs were detonated from a site in County Louth. The Smithwick Tribunal is investigating allegations of Garda collusion in the 1989 IRA murders of two senior RUC officers, Chief Supt Harry Breen and Supt Bob Buchanan. Witness 68 told the tribunal that “nothing was made available” to the RUC from the County Louth site used in the Narrow Water attack. “Our objective was to attain something evidential from the scene and we wanted that at all costs but it has to be said that the help was non-existent,” he said. The tribunal also heard that within hours of the atrocity and at the scene of the attack, senior RUC officers were advised to “keep the gardai on side”. “I was given a briefing and told not to discuss anything with Detective Sergeant Owen Corrigan because of the risk of a leak,” witness 68 said. Retired Det Sgt Owen Corrigan is one of three former gardai under the spotlight at the tribunal. He strenuously denies all the allegations against him. The tribunal has previously heard that in the days following the attack, the bomb detonation site was destroyed, before Northern Ireland’s top forensic scientist, Dr Alan Hall, could gather evidence. “We were given an undertaking that the scene would be preserved overnight” said Witness 68 today. The witness said that the Garda responsible for the scene was the now retired Det Sgt Owen Corrigan. Two men, Brendan Burns and Joe Brennan, were arrested close to Omeath, County Louth, as suspects. They were later released by Irish police who said there was no evidence to hold them for anything other than motoring offences. However, Witness 68 told the tribunal that a leaked copy of a Garda forensic report, he read years later, said that traces of explosives and firearm residue were found on the clothing of the men. The tribunal also heard that traces of ammonium nitrate were discovered in the car of one of those arrested. Brendan Burns, from Crossmaglen, died in an explosion in 1989. Joe Brennan was convicted of firearms offences in 1995. The judge at the Constable Stephen Carroll murder trial has refused to exclude the evidence of a key prosecution witness. Constable Carroll was shot dead in Craigavon in March 2009, after responding to a 999 call. The witness claims he saw one of the accused at the scene of the murder half an hour before the shooting took place. The judge ruled that the evidence given by a man, known only as Witness M, was not unfair to Brendan McConville. Mr McConville, a 40-year-old former Sinn Fein councillor from Glenholme Avenue, Craigavon, and John Paul Wootton, 20, of Collindale, Lurgan, both deny the murder. Lord Justice Girvan said that police had breached part of the terrorism act by failing to carry out an identity parade when Witness M told them what he claims to have seen that night. The judge said it was a breach of the code, but there was no bad faith on the part of the police and they did not reach their conclusions irrationally. The defence team had wanted Witness M’s evidence thrown out, but plan to press ahead with the argument on Wednesday that there is a lack of evidence against the accused and that the trial should be stopped. A metal barricade which has separated Catholic and Protestant communities in north Belfast for over 20 years has been opened. It was originally set up in the 1980s to bar traffic at the junction of Limestone Road and Newington Street, following sectarian clashes at the interface. Now it will remain open from 7am to 4pm Monday to Friday for three months until a review takes place. Local community worker Kate Clarke has welcomed the move. Working class areas of north Belfast suffered heavily during the Troubles in Northern Ireland, with many losses arising from paramilitary violence on both sides. Murderous gangs like the Shankill Butchers targeted Catholics there, and nearby Ardoyne’s Holy Cross school made world headlines when Catholic children were targeted walking to school in 2001. Tensions also remain in areas where sporadic bouts of rioting linked to dissident republicans and Orange Order marches still occur. Justice Minister David Ford said the reopening of the gateway marks the latest in a series of steps towards bringing divided communities in the city together. “Progress in removing barriers will depend on community support and I welcome the engagement of the people in the Newington area who are prepared to take this positive step,” the Alliance minister said. There are almost 90 barriers separating neighbourhoods across Northern Ireland, mostly in Belfast. The International Fund for Ireland has dedicated a £2m peace walls programme towards bringing down the physical and non-physical divisions by supporting people on either side of the barricades. This travelling exhibition provides an overview of the Nazi regime in Europe through text and images; it provides detailed impressions of pre-war life, the years of terror and the aftermath. Chief Executive of HETI, Lynn Jackson, said, “We are delighted to be working in association with Donegal County Museum as part of our outreach education Programme and that it is the first venue in Ireland to host it. It is intended that this exhibition will tour throughout the island of Ireland and serve as an important lesson in tolerance, respect and integration”. This exhibition was launched by Mr Alan Shatter TD, Minister for Justice, Equality and Defence last month at the Department of Justice and Equality in Dublin. Minster Shatter remarked that “the importance of this exhibition is that it provides a global view of the Holocaust in Europe, starting with the growth of the Nazi movement, through the different stages of the persecution, inhumane treatment and extermination of millions of Jews and others, up to the Nuremburg Trials. It also gives a picture of both the political and military reactions of a number of States to this tragedy which included disinterest of some nations toward the fate of the Jews and looks at reactions at an individual level including Jewish resistance and the Righteous among Nations”. The exhibition runs from Tuesday 21st February until Saturday 31st March Admission is free and all are welcome. Please contact the Museum to arrange group or class visits. 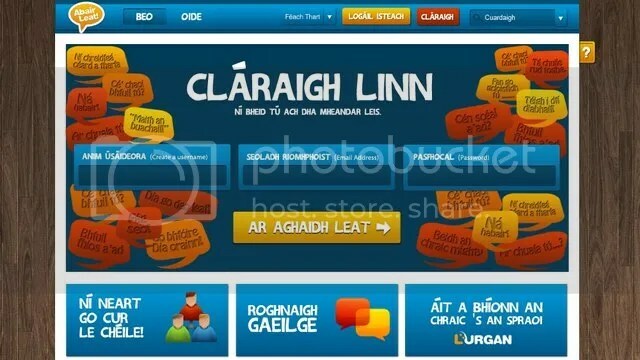 A new Irish language social media website has been launched. Abair Leat has been described as a user-friendly social media site which also helps people translate words and phrases into Irish. Irish college Coláiste Lurgan, who are backing the intitiative, say they hope to have 50,000 users by the end of the year. Abair Leat was designed with help from US company Fantasy Interactive. Micheál Ó Foighil of Coláiste Lurgan said the site was an extension of the services which they supply to students in the summer colleges. He said they are hoping to raise the money to develop phone applications for the site before the end of the year. However those behind the site confirmed that Abair Leat experienced some technical difficulties earlier this afternoon. Users were unable to access the site due to a “huge amount” of traffic and increased volumes of people signing up. Defence lawyers for two men accused of murdering a police officer have given the judge a list of 33 concerns about a key prosecution witness. They want Lord Justice Girvan to throw out the man, Witness M’s, evidence. Constable Stephen Carroll was shot dead in Craigavon in March 2009, after responding to a 999 call. John Paul Wootton, 20, of Collindale, Lurgan, and Brendan McConville, 40, of Glenholme Avenue, Craigavon, deny murder. At Belfast Crown Court on Monday, the defence argued Witness M’s evidence was unfair. Lawyers gave a written statement to the judge outlining their concerns. Witness M puts one of the accused at the scene half an hour before the police officer was shot dead. But the defence team has argued that Witness M has lied to the court, has eyesight problems and only reported what he claims to have seen a year after the killing. However, the prosecution said it was a clear case of recognition. Lawyers argued that Witness M knew Mr McConville, recognised him at the scene and even said “Hello” to him. Lord Justice Girvan has indicated he will make a decision on the matter on Tuesday. Depending on the outcome, the defence could make an application to have the entire trial aborted due to a lack of evidence. The Alliance Party is calling on the executive to ensure the 100th anniversaries of key historic events are marked in an inclusive way. The party is leading an assembly debate on the issue and is also asking that the British and Irish governments get involved in coordinating centenaries such as the 1912 signing of the Ulster Covenant, and the 1916 Easter rising. “This is a positive opportunity,” said Alliance MLA Chris Lyttle, “for us to celebrate events in an inclusive manner and in a way that can boost the cultural and economic development of our region. This year commences a decade of centenaries ranging from the launch of the Titanic to the Easter Rising in 1916 to partition and the foundation of Northern Ireland. The events also include the centenary of women winning the right to vote in 1918. The motion is expected to win the backing of nationalist and unionist parties including the DUP and Sinn Fein. Mitchel McLaughlin of Sinn Fein said this decade was a significant opportunity to explore the past and to develop a shared future. He said it would be regrettable if the potential for shared experience and understanding was lost. He said his own party was open to marking the 1912 Ulster Covenant either through a shared event or having its own event. This saw half a million unionists sign the Covenant opposing Home Rule for Ireland. “When we have institutionalised power-sharing why wouldn’t we seize the opportunity to draw any positive lessons from that period?” Mr McLaughlin said. Asked if he expected the first minister to take part in a 1916 Easter Rising commemoration, he said it would be a mistake to lay down conditions. The DUP’s Nelson McCausland said he had no problem taking part in a panel discussion on the 1916 rising as a means of promoting understanding. “There’s a great deal of misunderstanding, many confusions, contradictions, complexities in our history and I think the decade gives us an opportunity to explore those and perhaps dispel some of the myths,” he said. He said not all events would appeal to everyone and that some would have to be approached on an individual basis. Both the DUP and Sinn Fein expressed concern that some would try to make mischief around these events. The TUV’s Jim Allister, who is opposing the motion, is concerned that historic events will be distorted by the inclusion of republicans. He also is pressing for a public holiday in September to mark Ulster Day. Feminist writer Fionola Meredith said she hoped the centenary of female suffrage would not be squeezed out by the focus on unionism and nationalism. “What so often happens in this country is that women’s rights, and interests come very low down the pecking order,” she said. “So I would like to see some imaginative events that really recognise the significance of the suffrage campaign. Sinn Féin MLA for South Armagh, Conor Murphy has responded to a recent Newry Times article where Newry and Armagh DUP assembly member William Iwrin raised concerns about an application for a monument in Crossmaglen Square. The application for SOAR funding was recently submitted by Crossmaglen Memorial and Heritage Committee.